We meet each month and welcome your participation whether you've read the whole book or a single page. 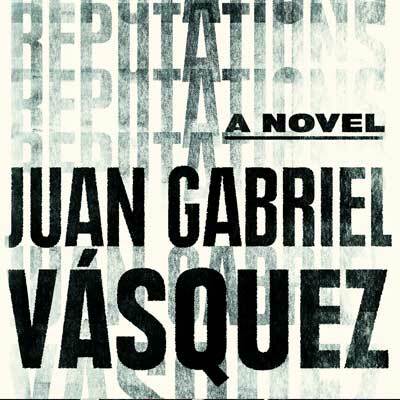 Our October title is Reputations/Reputaciones by Juan Gabriel Vásquez. In Reputations, Juan Gabriel Vásquez examines the weight of the past, how a public persona intersects with private histories, and the burdens and surprises of memory. In this intimate novel that recalls authors like Coetzee and Ian McEwan, Vásquez plumbs universal experiences to create a masterful story, one that reverberates long after you turn the final page. Javier Mallarino is a living legend. He is his country's most influential political cartoonist, the consciousness of a nation. A man capable of repealing laws, overturning judges' decisions, destroying politicians' careers with his art. His weapons are pen and ink. Those in power fear him and pay him homage. After four decades of a brilliant career, he's at the height of his powers. But this all changes when he's paid an unexpected visit from a young woman who upends his sense of personal history and forces him to re-evaluate his life and work, questioning his position in the world.